Load up your clubs and show your team passion with a Michigan Wolverines Fairway Stand Golf Bag by Team Golf®, the largest supplier of officially licensed team golf accessories in the country! 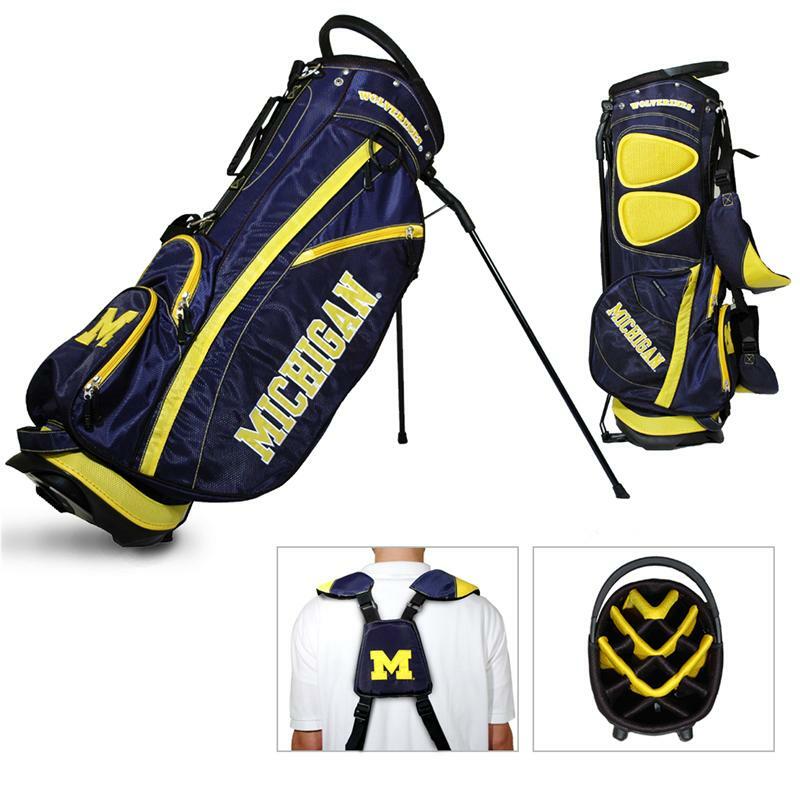 The new, lightweight, Michigan Wolverines Fairway Stand Golf Bag is full of features, including 6 location embroidery, an integrated top handle, an assortment of functional, zippered compartments for all of your golf accessories, as well as a cooler pocket, towel ring, and full-length club dividers. Hit the links like only a true sports fanatic can!